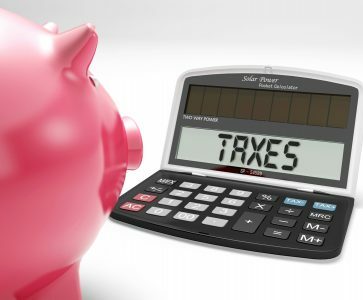 Do I Pay Taxes on Debt Discharged in Bankruptcy? Typically, if you have had debt canceled that amounts of over $600, you should expect the IRS to send you a 1099-C form. You see, the IRS considers debt that has been forgiven to be equal to income. Income that Uncle Sam expects you to pay taxes on and the 1099-C is how this income is reported. Fortunately, some canceled debt may qualify for exclusion from your gross income. There are several debts that can allow you to exclude by first, ensuring that they qualify and subsequently filling out an IRS Form 982. Debt canceled in a Title 11 bankruptcy or due to insolvency qualifies for an exception, and therefore, you will not have to pay taxes on a debt discharged or canceled in this manner. One of the worst things that you can do after receiving a 1099-C, however, is to ignore it, which can cause much larger issues with the IRS. If you’ve filed for bankruptcy and successfully had debt discharged in a Houston bankruptcy case, you do not have to pay taxes on that debt cancellation. It’s important to note that this only applies to debt that was a part of your bankruptcy case and doesn’t apply to debts that you have settled prior or after filing for bankruptcy. Along the same lines as bankruptcy, taxpayers who are insolvent (owe more in debt than they own in assets) qualify for an exclusion from paying taxes on the discharged debt. It’s still important to file the 982 form as soon as possible after receiving the 1099-C in the mail in order to explain to the IRS why you don’t have to pay taxes on the debts. Even though you filed bankruptcy or had debt canceled due to insolvency you may still receive a 1099-C, initiated from an unknowing creditor. If you have received one after filing for bankruptcy, immediately contact your Houston bankruptcy lawyer in order find out what supporting materials you should include in your IRS Form 982. While not an easy process, ensuring you fill it out correctly and with the correct proof, you’ll be ensuring that you do not encounter more serious issues with the IRS.